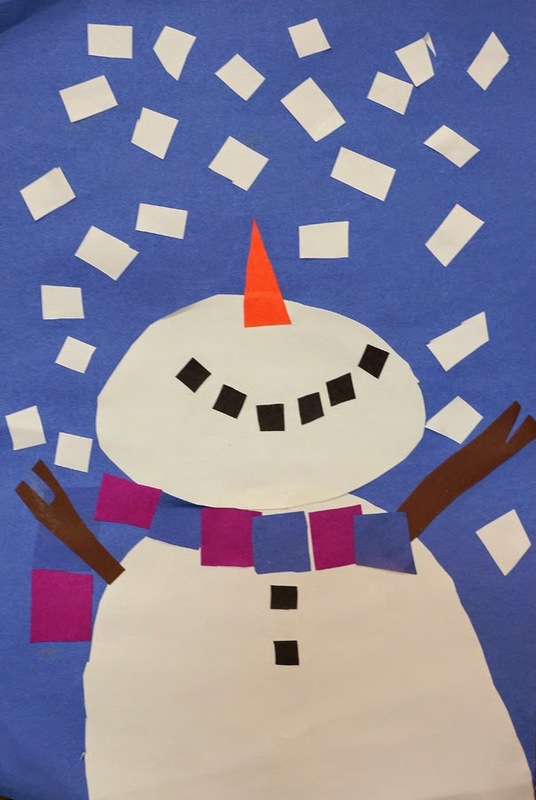 I remind 1st graders of the snowman collage they made as kindergartners (see previous post) and show them a teacher example of this different look at a snowman. 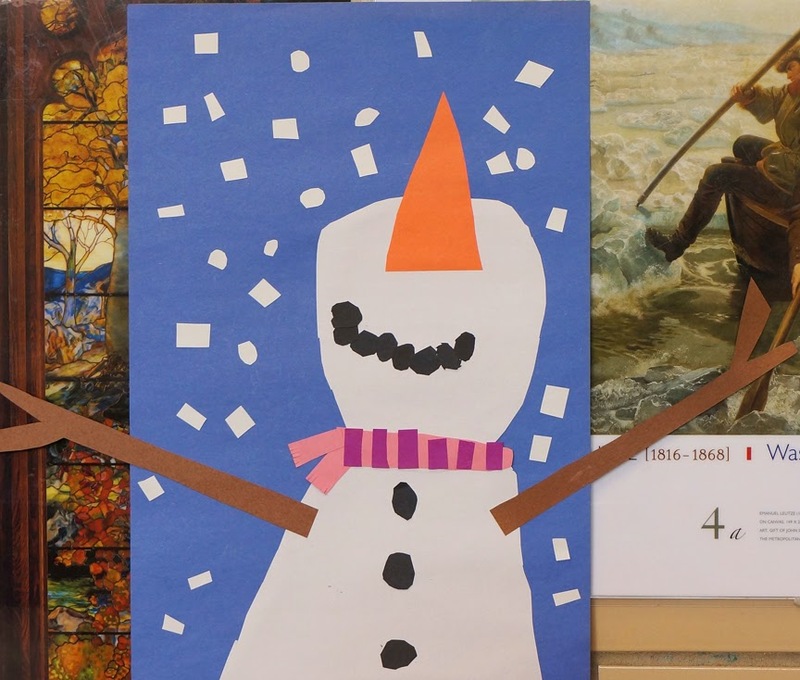 We talk about the differences we see and why we see them. 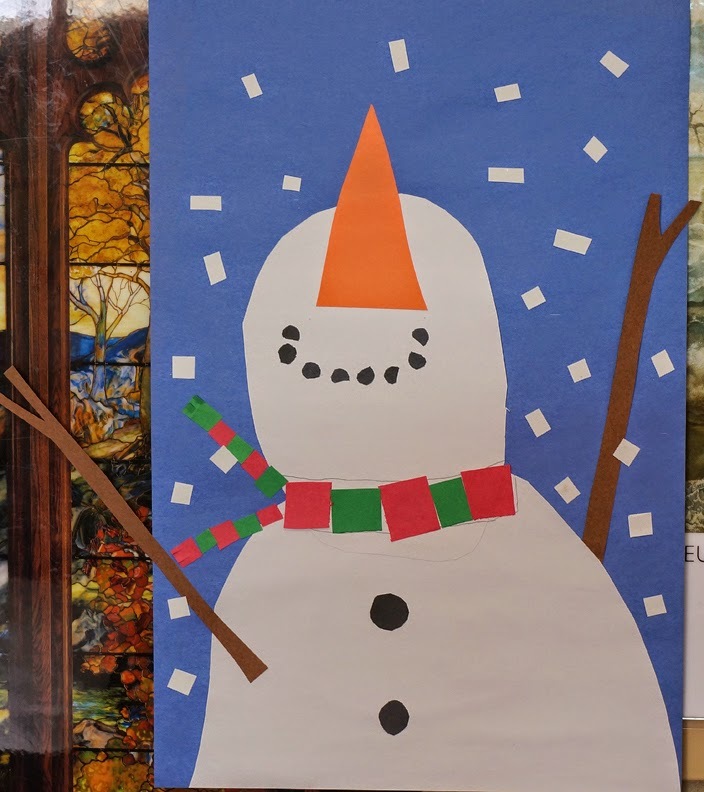 For example, "Why is the snowman's nose at the top of his head?" 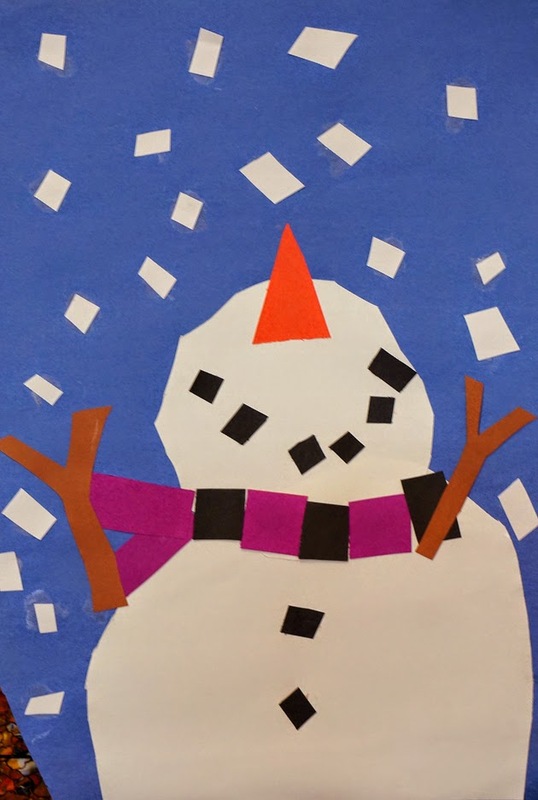 and "What's different about this snowman's body?" 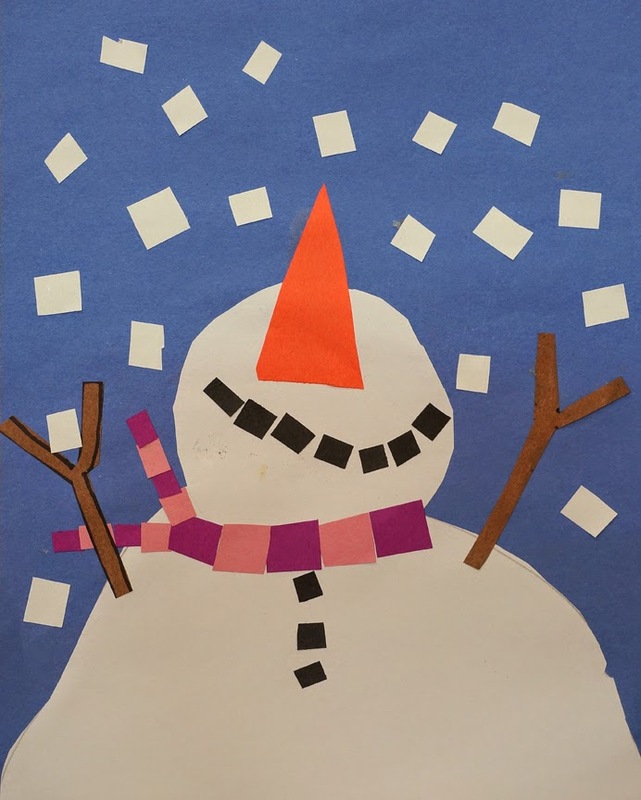 By keeping the medium (collage) the same as the last snowman they created in art class, the focus of this lesson becomes more about this different perspective and how changing our perspective as artists (or as problem solvers) might change our results into something more interesting.